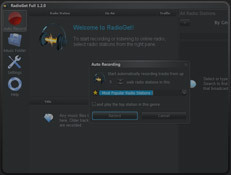 RadioGet can record multiple stations simultaneously in “hands-off” mode into mp3 files, each containing a single song. These mp3 files will be named and tagged according to their title and artist. The mp3 files are sorted into appropriate folders so tracks by each artist end up in a separate folder. 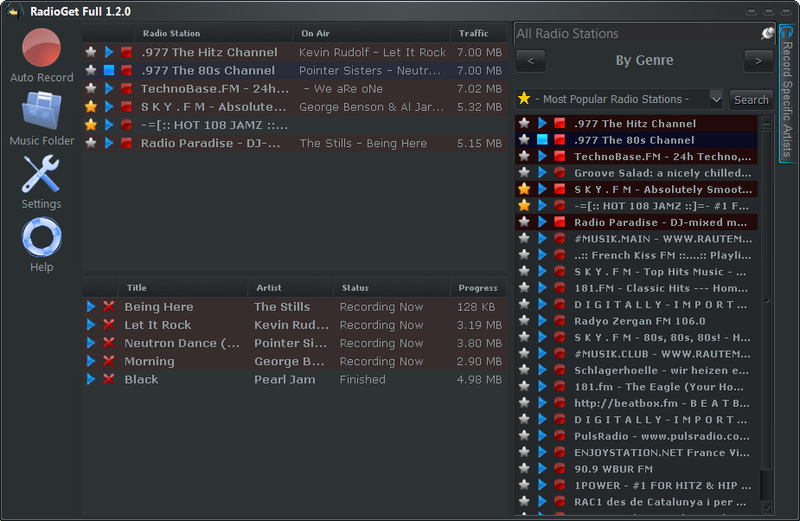 This is great for accumulating entire collections of mp3 tracks of various artists, genres and flavors. 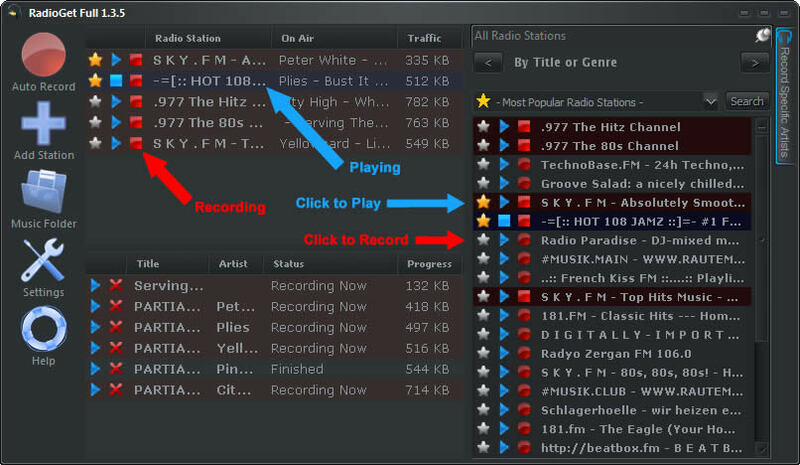 You can also play or record a station from its context menu that can be displayed by right-clicking on the station. 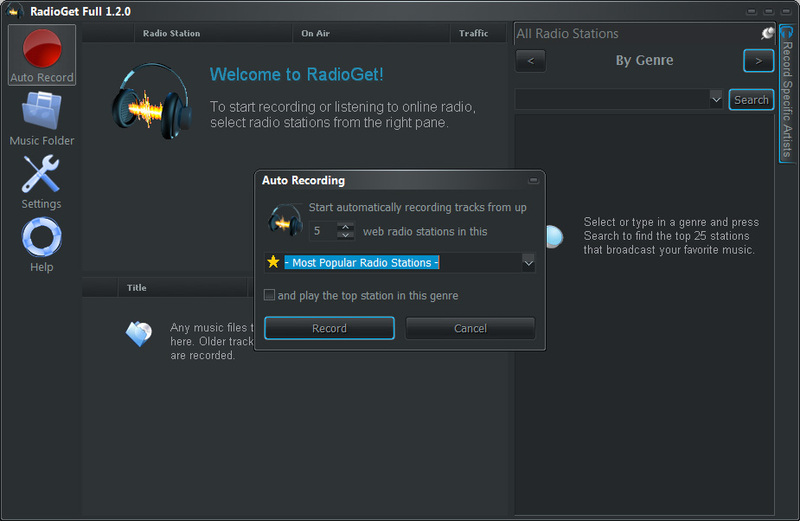 The top-left pane of the RadioGet main window will display your favorite stations along with the stations that are currently being recorded or played, for your convenience. Any stations that caused an error while playing or recording will be on that list as well, displaying the reason of the error (you can such stations from the list by selecting them and pressing Del on the keyboard, or from the context menu). Press the Music Folder button on the left side of the main window to open the folder where mp3 files will be saved. 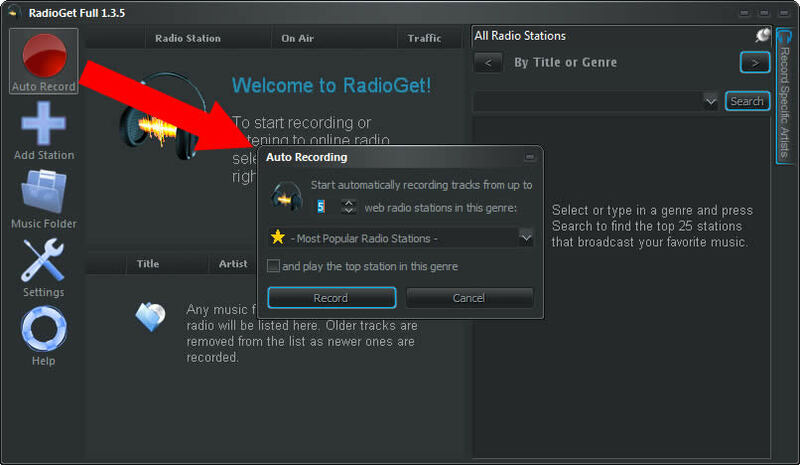 You will find the mp3 files recorded by RadioGet in sub-folders according to artist names. All incomplete songs will be saved to the Incomplete Recordings subfolder. NOTE: Recording too many stations simultaneously can dramatically degrade system performance or even cause RadioGet to hang. 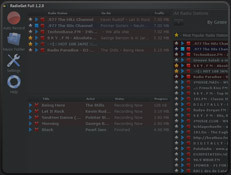 Keep the number of stations being recorded simultaneously to a reasonable amount of 5 to 7 at most on an average computer. All songs that are being recorded or have been recorded recently are displayed in the lower left part of the main window, where you can play them or delete them to the recycle bin.